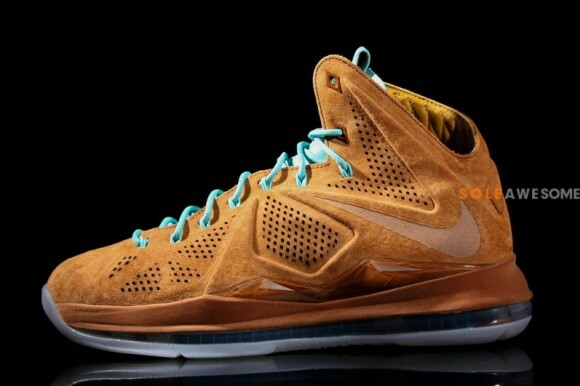 Right on the heels of the LeBron X EXT “Denim” launch comes rumors of the Suede Hazelnut release. The buzz is a 7/6 release at nike.com and Foot Locker House Of Hoops. Like the LeBron X Corks, Denim and NSW Lifestyles, we don’t expect Finish Line, Champs or Eastbay to release the newest LeBron X EXTs. The LeBron X EXT Hazelnut is very similar to the NSW Hazelnut released early this month, but has the signature sport design of a LeBron X. Still no official confirmation from nike on this launch. THESES KICKS ARE SO HOT I HOPE I DON’T MISS OUT.